Black Bears best Stony Brook Seawolves Sunday afternoon. Photo by Evan Loignon. The temperature wasn’t the only thing running high on an unusually hot fall afternoon, tensions soared as the University of Maine Black Bears (3-5-1, 1-0-0 America East) fought the Stony Brook Seawolves (4-7-0, 0-1-0 America East) in the first game of conference play. Coming back from a one game losing streak, Head Coach Scott Atherley knew something needed to change. “Our mindset after the Cornell game was with the start of conference play, was the start of a new season. We completely changed our system. We threw them off because of our switch from a three back, to a four back. Our play style is now better suited for the personnel we have at this point in the season,” Atherly said. The Black Bears certainly used this “new start” mentality to their advantage, completely and effectively altering their playing style. Despite a slow, yet steady start, the Stony Brook Seawolves came out strong with a shot on goal in just the first seven minutes of play. The Black Bears retaliated with two shots on goal, both of which were saved by Stony Brook’s first-year goaltender Sofia Manner. A rather aggressive Maine defense saw four fouls in the first half alone, with Stony Brook unable to convert those plays into anything useful. With tensions high, frustration seemed to get the best of Stony Brook Head Coach Brendan Faherty, as he could be heard yelling from the sideline “I came a long way here, let’s go!” upon a referee halting the match for a Seawolf foul. Despite numerous fans complaining about the referees, 11 fouls were called on Maine compared to Stony Brook’s six. Just as both teams seemed to find their rhythm, the whistle blew signaling the end of the first half. After a short 15 minute halftime, the real excitement came. Only four minutes into the second half, the Black Bears scored a much needed goal. “[I was] pumped and ready to make a difference” second-year defenseman Priscilla Domingo said. Domingo certainly made a difference, scoring her first collegiate goal and the only goal of the game. “It feels great to have the winning goal for the team,” Domingo said. Domingo’s goal was assisted by second-year midfielder, Emilie Andersen, who hails from Norway. With the sun at their backs, the Black Bears dominated much of the second half, spending most of it on Stony Brooks side of the field. 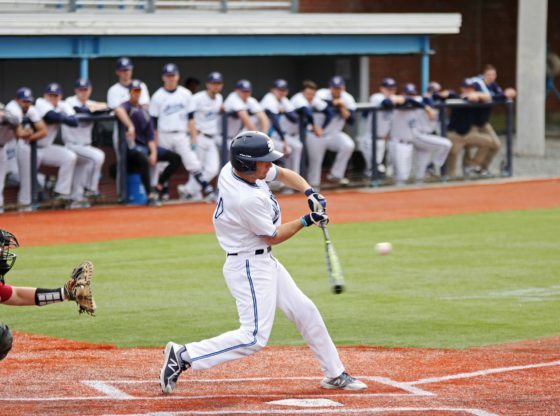 Faherty was impressed with the Black Bears’ effort. “Maine was organized defensively, they scouted us very well,” Faherty said. 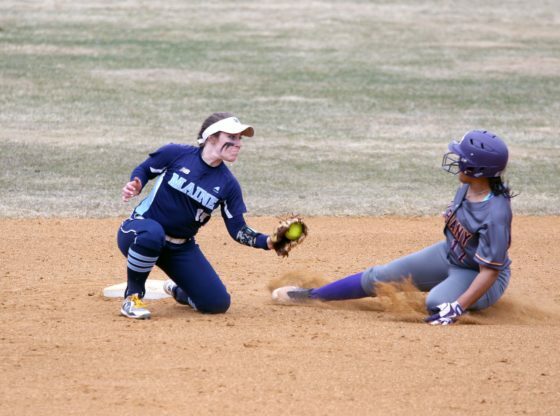 Although the weather was hot, the Black Bears remained fierce as the game went on. Because of the heat, fans saw a somewhat unusual sight as referees called for a water break in the midst of the second half action. This break allotted three minutes for players to grab a sip of water and cool down from the punishing 89-degree weather. Down one to nothing, Stony Brook put five shots on frame in a riveting final 10 minutes. All attempts on goal were saved by second-year goaltender, Annalena Kriebisch from Potsdam, Germany. 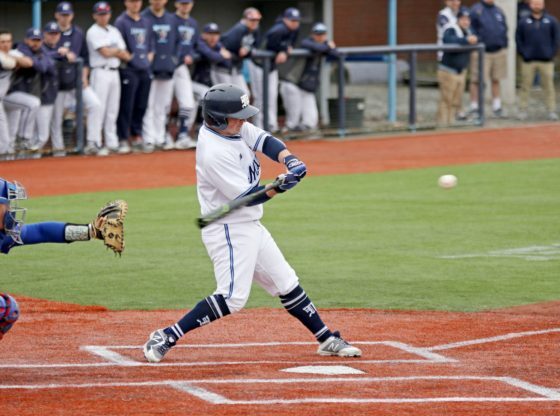 Priore’s outcry had little effect as the Seawolves went down 1-0 in the first game of conference play. 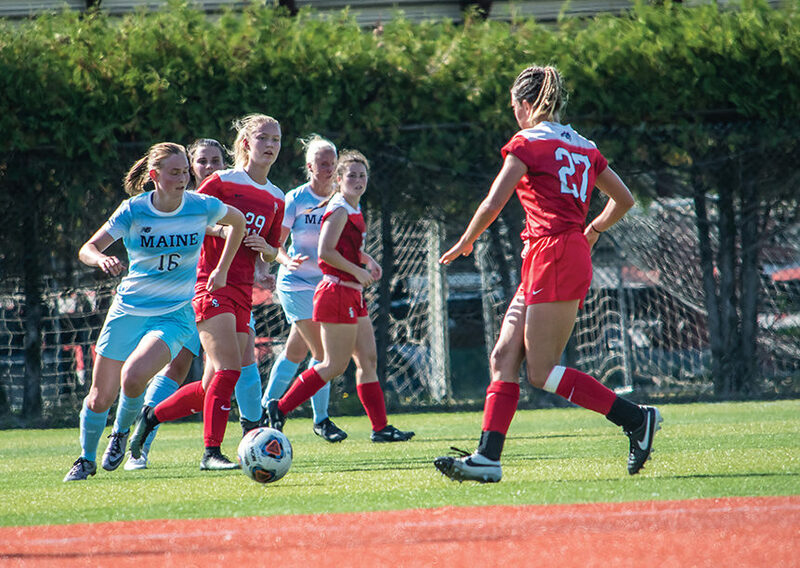 The University of Maine women’s soccer team returns back to action Thursday, Sept. 28, as they take on the University of Hartford Hawks on the road. Kick-off is scheduled for 6 p.m. Stony Brook will also play on Thursday as they take on the University of Massachusetts-Lowell Riverhawks from Stony Brook, N.Y.